In the quiet neighbourhood of Bedok reservoir, a hidden gem serves the community with good coffee and food. 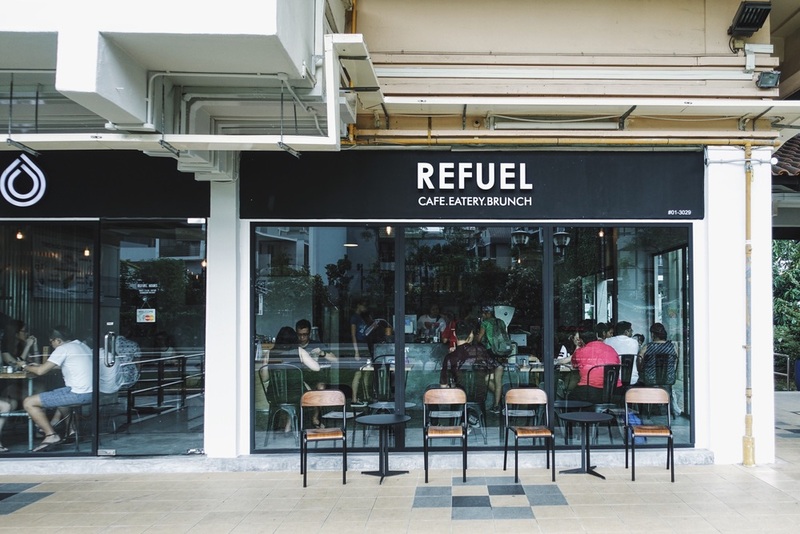 Refuel Cafe is a no frill cafe that offers nothing but a pleasant environment and affordable food. It's a small shop but has just sufficient space to make its guests feel comfortable. The interior is nicely done up too. I ordered a Fuel Me Up which is Baked Eggs and Meatballs. I must say this was really tasty and I finished every sip of the flavourful tomato base sauce. The serving size was just right to satisfy my hunger, at an affordable price of around $12. The big breakfast here was also rather satisfying and had a generous portion of every essential ingredient. The scrambled eggs could do better with slightly more seasoning though, but it's fine if one isn't too picky. The coffee here was fabulous. Loved how much body the Cappucino had and how it was not acidic or bitter. If you happen to be in the area, this cafe would make a real good option for your brunch date.